Nerdie gave me a half a flat of peaches from Gold Country where his dad lives. There were pretty ripe so I didn’t think they would hold up being baked in a pie. Instead, I envisioned a sweet and savory chunky jam that would go equally well with cheese as it would over vanilla ice cream. My vision come to delicious fruition! Here’s the recipe. 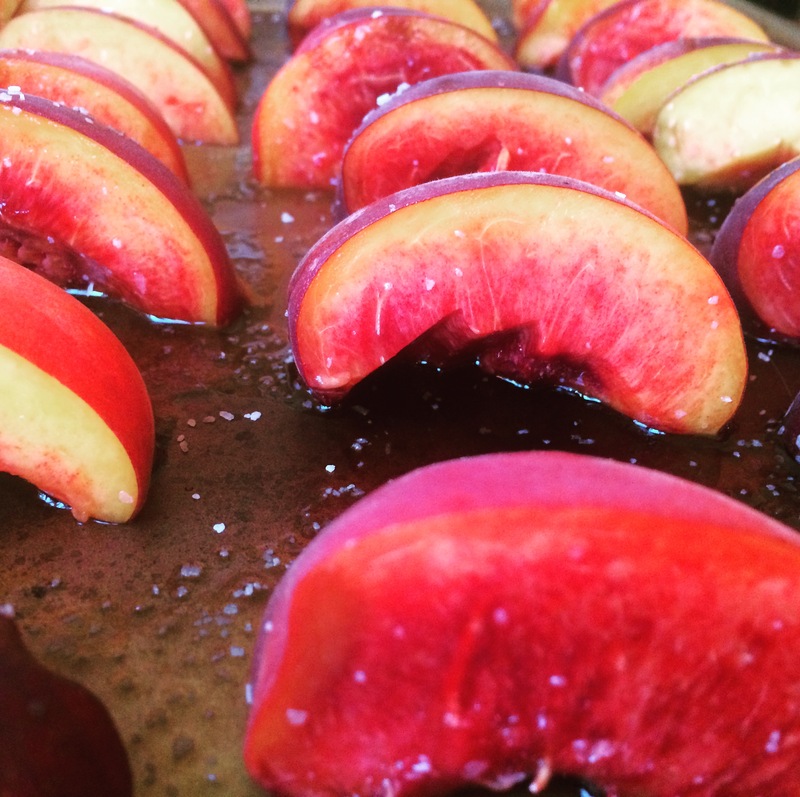 On a large sheet tray, lay the peaches skin side down in a single layer. Sprinkle with olive oil and salt. Roast 15 minutes, then turn on one flesh side. Roast 10 minutes more and turn to the other flesh side. Roast a final 10 minutes and remove from the heat. When cool enough to handle, peel the skins off and discard. In a medium pot, combine the peaches, lemon juice and brown sugar. Cook down over medium-low heat for 25-30 minutes. Mash with a potato masher until you have your desired chunkiness. Taste for acid, salt and sugar, and adjust to your taste. 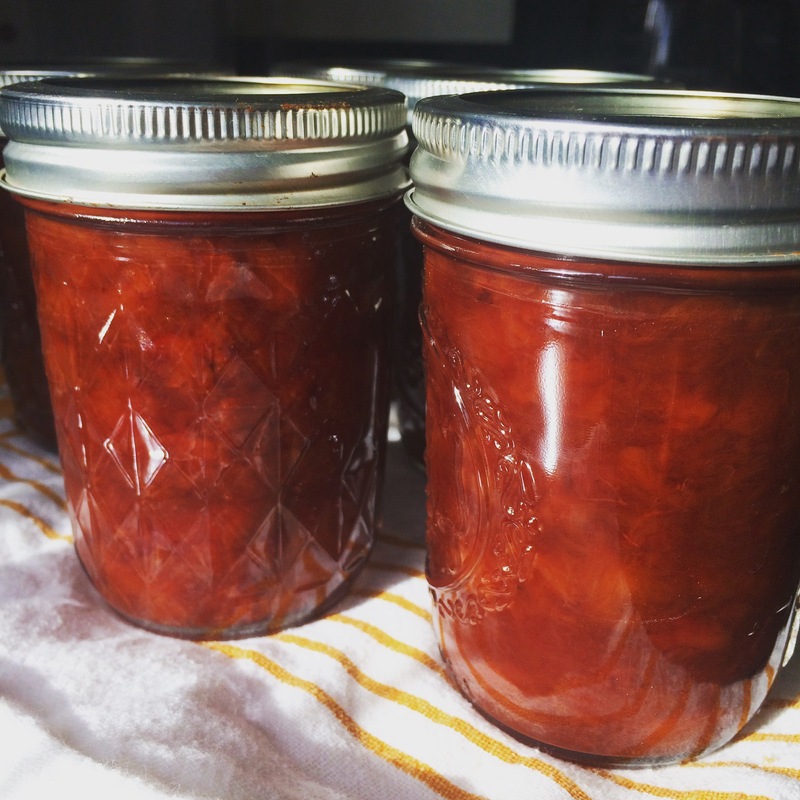 When it’s cooked down and reached your desired thickness, cool and store in the fridge for up to a month, or preserve longer by canning.